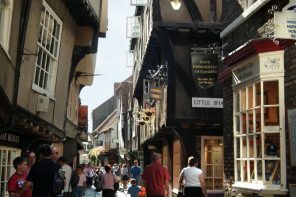 When a friend invited me to an English market town to try “the best afternoon tea on the High Street” I had to accept the invitation. 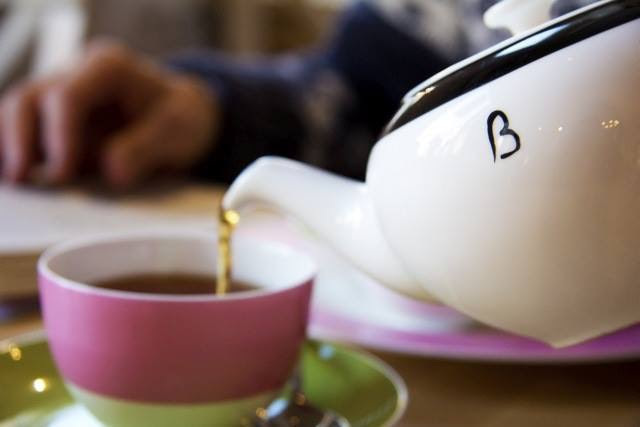 Beatons are a group of small, friendly tearooms in market towns across the UK. Launched in 2010, the tearooms are named after the society photographer and Oscar award-winning costume designer Cecil Beaton (1904-1980). 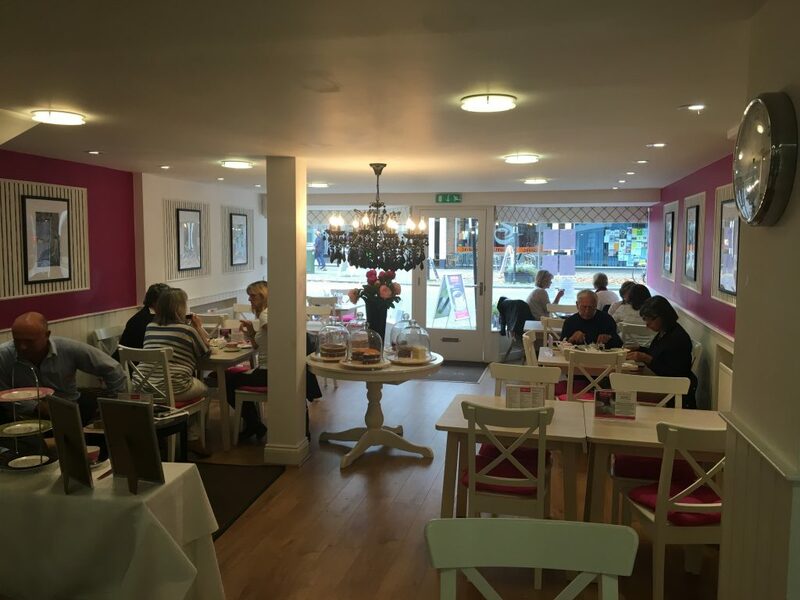 The tearooms all have table service and offer loose leaf teas, home-baked cakes and light meals. 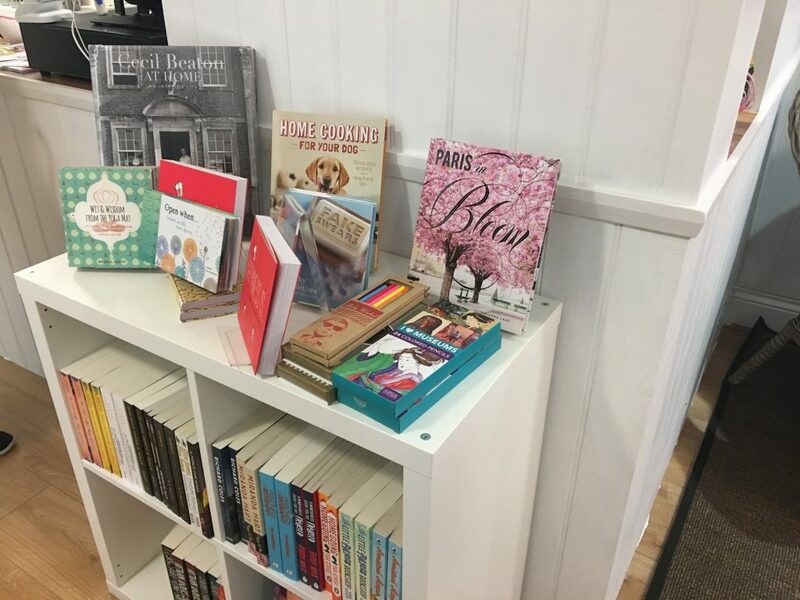 They also offer a small but enticing selection of books to browse and purchase. 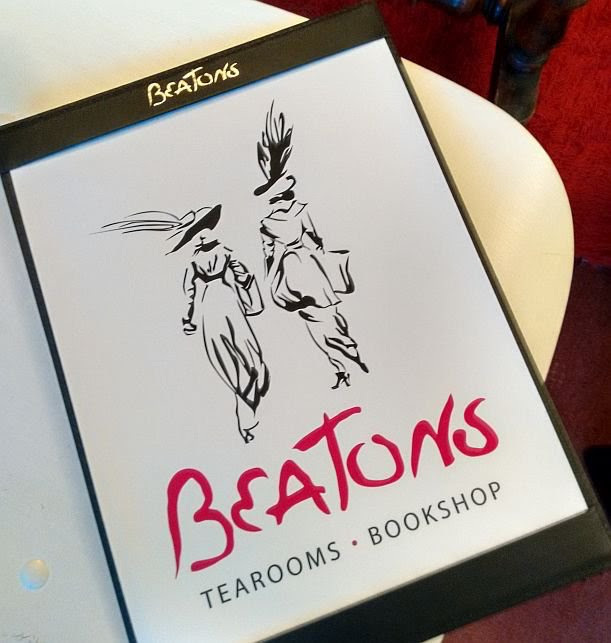 I joined a friend at Beatons Petersfield, in Hampshire, which had only been open for one week. 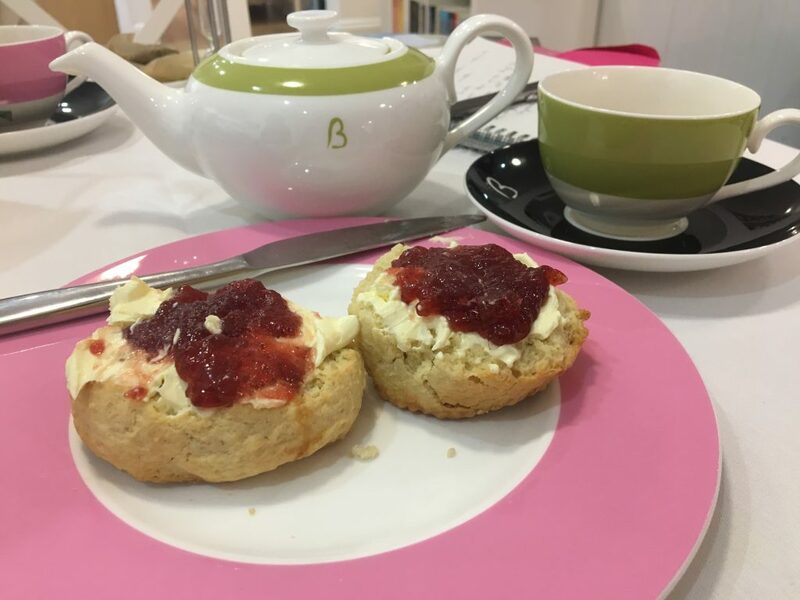 While afternoon tea in a swanky hotel is somewhere you dress up for and travel to, Beatons is a tearoom for locals to meet and relax with friends. 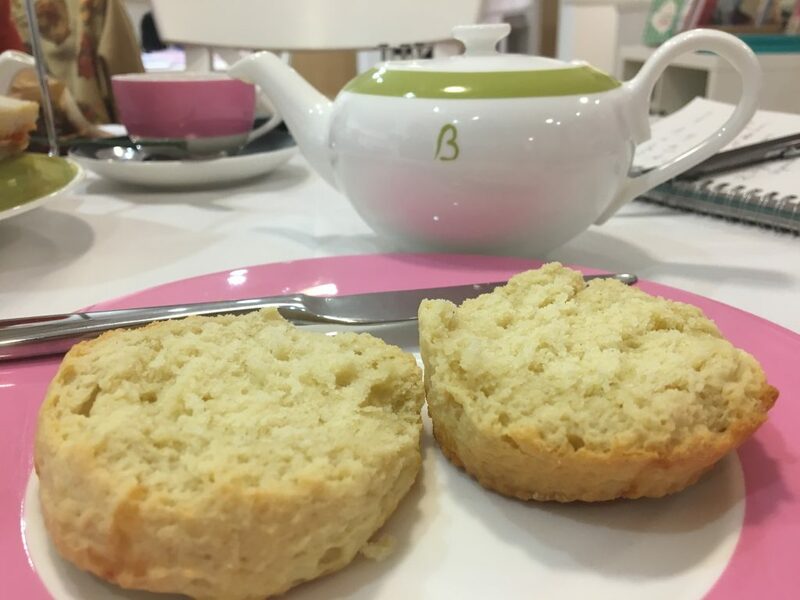 They have brought the quintessential English afternoon tea experience to the British High Street. The decor is not ‘country twee’ nor is it overtly modern but strikes a balance with the clean white and vivid cerise pink accent colour. There’s a centrepiece table with large cakes for slicing under glass domes with a feature chandelier hanging above. Often in hotels, I have afternoon tea served on a coffee table while I’m sitting low down on a sofa. While there’s nothing wrong with relaxing I actually prefer to be at a dining table when dining so was grateful for that here. Also, the lighting is frequently kept low for afternoon tea whereas I find that can make me feel more tired as I work my way through the meal. So, again, I was grateful it was bright enough to see my companions – and the cakes! 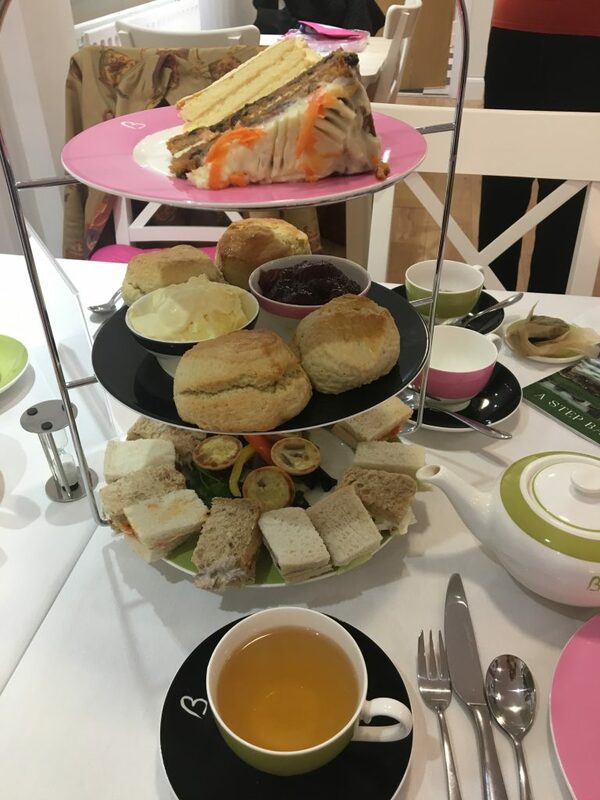 There is a choice of afternoon teas (see the menu) including a gluten-free option. 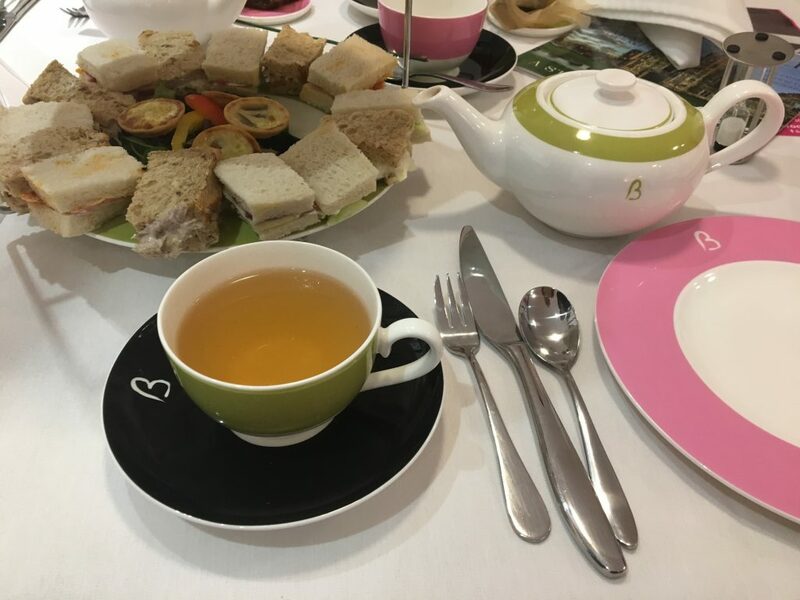 I tried ‘The Ashcombe Tea’ – named after Cecil Beaton’s Ashcombe House. 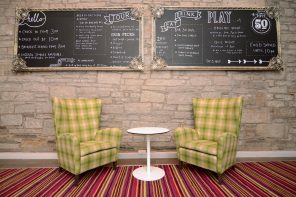 The tearoom is licensed so you can order a glass of Prosecco with your afternoon tea for a treat. 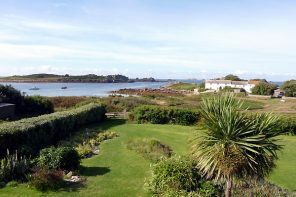 You don’t need to book in advance (although you can if you want a particular table for a special occasion). There are around 30 teas on the menu which can be daunting. Choosing a tea is rather like the overwhelming feeling when you see a menu in an Indian restaurant. You are really not sure what to choose so tend to stick with what you know. 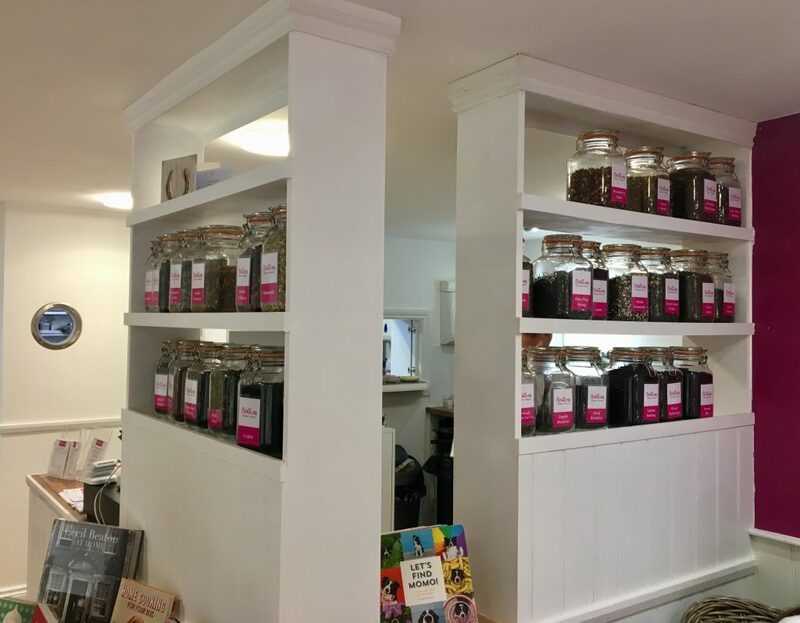 The jars of tea at the kitchen. I’d say here it’s OK to ask for advice and I can personally recommend the White Peony which was so good I drank two pots! There is also a ‘tea of the month’ so you could use that for inspiration. All teas are loose leaf and are served in a large paper ‘tea bag’ in the pot (so there are no extra tea strainers needed on the table). It is brought to the table with a tea timer so you know exactly when it is brewed perfectly. You can then remove the tea and there are dishes on the table for the tea bag. 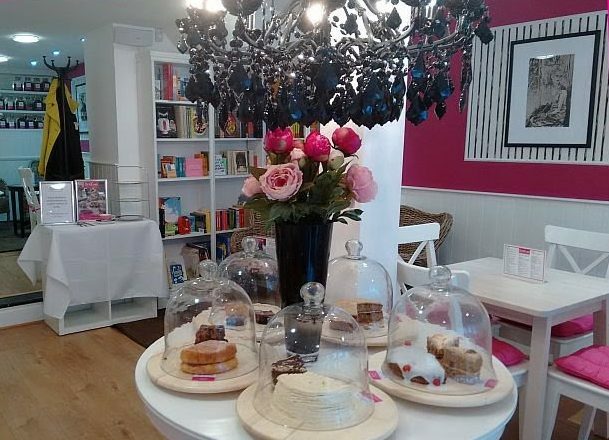 The cake stand has the ‘wow factor’ and staff describe the contents as it is placed on the table. The sandwiches are half fingers so there are plenty as it’s more bite-sized. There are also a couple of mini quiches each. 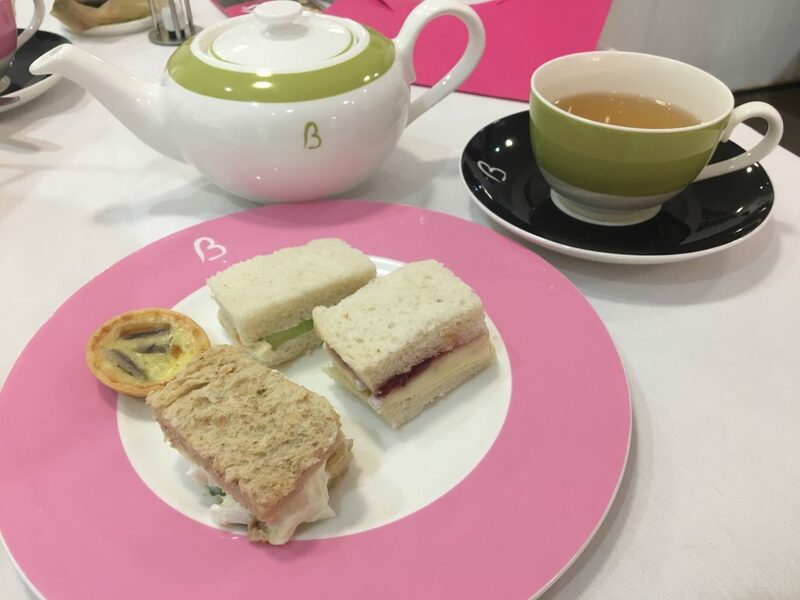 The standard (Ashcombe) afternoon tea and the gluten-free (Ascot) afternoon teas come with free top-ups of both tea and sandwiches. The scones were presented with plenty of clotted cream and strawberry jam/preserve. Altogether, they were delicious. Instead of small ‘fancies’, the top layer of the cake stand has two large slices of cake. You can choose from the selection on the centrepiece table. 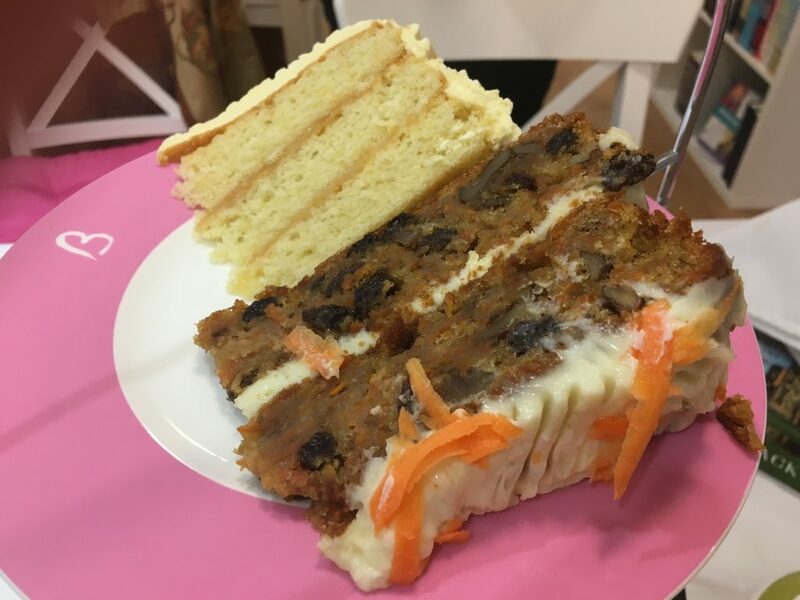 The signature carrot cake came recommended so we had to try it. It was rich with fruit and nuts and was incredibly moist. There is always a gluten-free option and often a vegan choice too. The award-winning gluten-free banana and coffee cake is a popular choice. This is a bookshop as well as a tearoom so there are books to browse while enjoying a pot of tea. It’s a well-chosen selection making it easy to choose a gift when heading to the till. All in all, I think Beatons Petersfield is a lovely tearoom and I’d be happy to return. Here’s further proof I was there as they have a post on their blog about my visit.